Special Counsel Robert Mueller's team in recent months is showing more interest in President Trump's interactions with Attorney General Jeff Sessions concerning his recusal from the investigation into Russian meddling in the presidential election, CBS News' Major Garrett reports. Should the special counsel interview Mr. Trump, it is likely to be an area where Mueller's team wants to probe, but Mr. Trump's attorneys have long argued that Article II powers of the Constitution invest in the chief executive broad powers -- enough, for instance, to allow Mr. Trump's insults and even to tell a recused attorney general that he should keep an eye on the Russia investigation by keeping it within the Justice Department. At least some of Mr. Trump's lawyers, however, would admit this is unwise and politically hazardous. Trump personal attorney Rudy Giuliani told the New York Times Wednesday that he hasn't discussed Sessions' recusal with the president, but he argued that requesting Sessions to take control of the Russia investigation is within Mr. Trump's authority. "'Unrecuse' doesn't say, 'Bury the investigation,'" he told the Times. "It says on the face of it: Take responsibility for it and handle it correctly." According to a source familiar with the investigation, however, a reverse recusal is not something that would be considered in this case, CBS News' Paula Reid reports. Sessions made the decision to recuse himself on the advice of career Justice Department officials. The president's pressure on Sessions is part of the wider obstruction of justice probe and was the focus of Sessions' interview with Mueller. The Justice Department did not respond to CBS News' request for comment. Various sources, according to Garrett, say Sessions has never relented and never second-guessed his decision to recuse, and he has resisted Mr. Trump's various pressure tactics. Former White House chief of staff Reince Priebus had previously been told by Mr. Trump in July that Sessions had to go, but Priebus delayed, and Mr. Trump ultimately let go of the idea of forcing Session to resign. 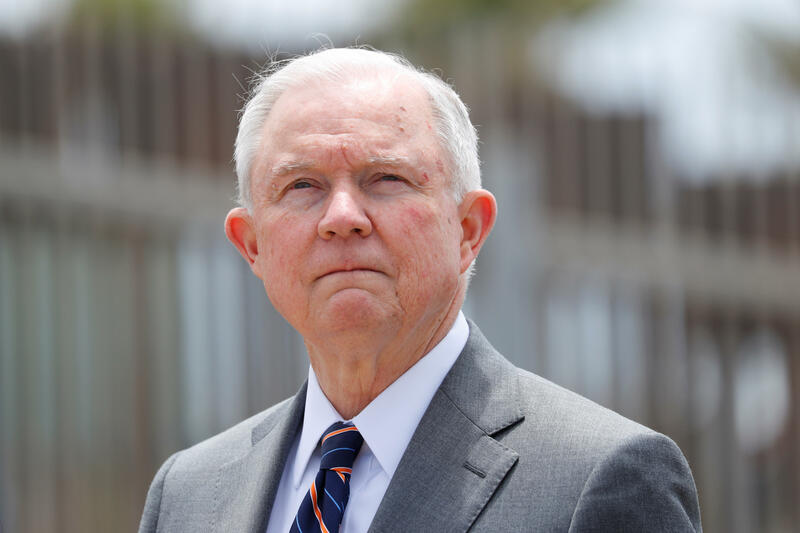 In essence, Mr. Trump has never forgiven Sessions for recusing himself because he wanted an attorney general similar to the way the president perceived Obama Attorney General Eric Holder -- defiant, politically ruthless and willing to defend the Obama administration on all fronts. The president has told confidants he thought Holder always backed Obama and fought aggressively against congressional inquiries. Based on this perception of Holder's tenacity, Sessions has suffered by comparison. Mr. Trump blames Sessions for the very existence of the special counsel because he believes if Sessions had been attorney general, he would have resisted a special counsel appointment. CBS News' Major Garrett and Paula Reid contributed to this report.